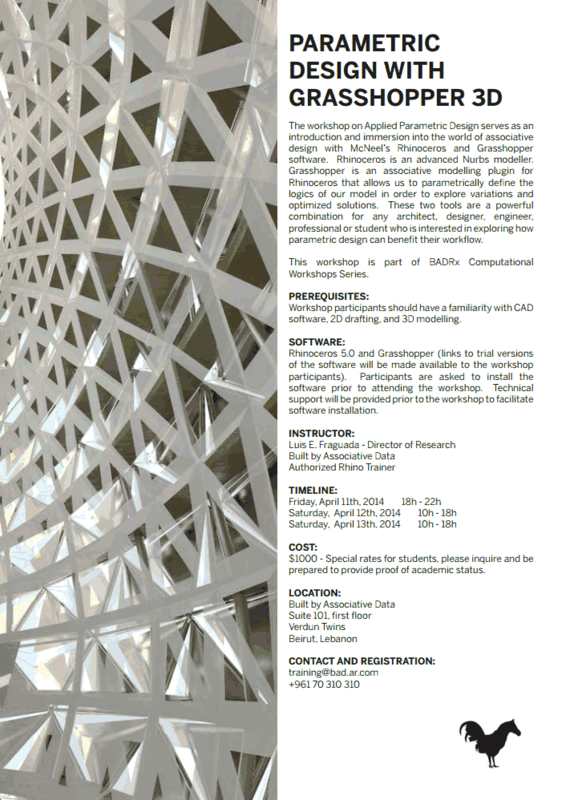 The workshop on Applied Parametric Design is an introduction and immersion into the world of associative design with McNeel’s Rhino and Grasshopper software. Rhino is an advanced NURBS modeller. With it we will learn about precision modelling, project workflow and organization. Grasshopper is an associative modelling plug-in for Rhino. Grasshopper parametrically defines our model logics to explore variations and optimized solutions. These two tools are a powerful combination for any architect, designer, engineer, professional or student interested in exploring how parametric design benefits their workflow. how much does it cost for students ?